The approach shot to the uphill par-five 2nd (also 11th) hole plays a good two clubs longer than the yardage would suggest. 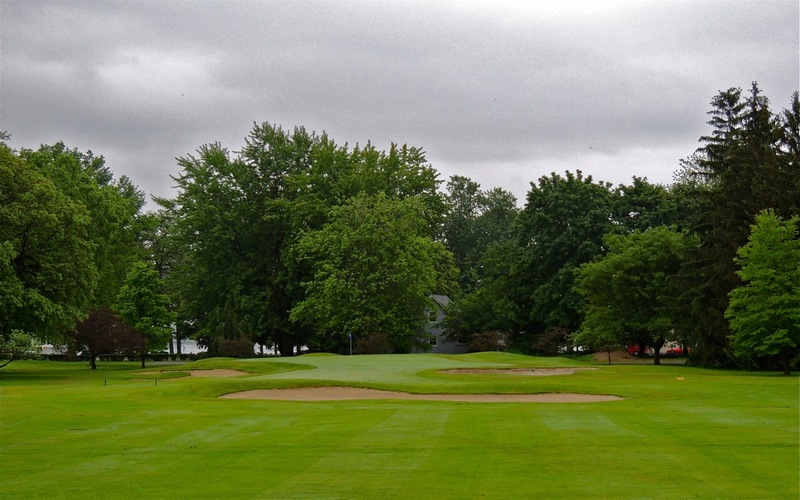 I have developed the acquired taste for interesting nine-hole golf courses of late, and discovering the congenial vintage Owasco Country Club in the Finger Lakes town of Auburn was a recent treat. 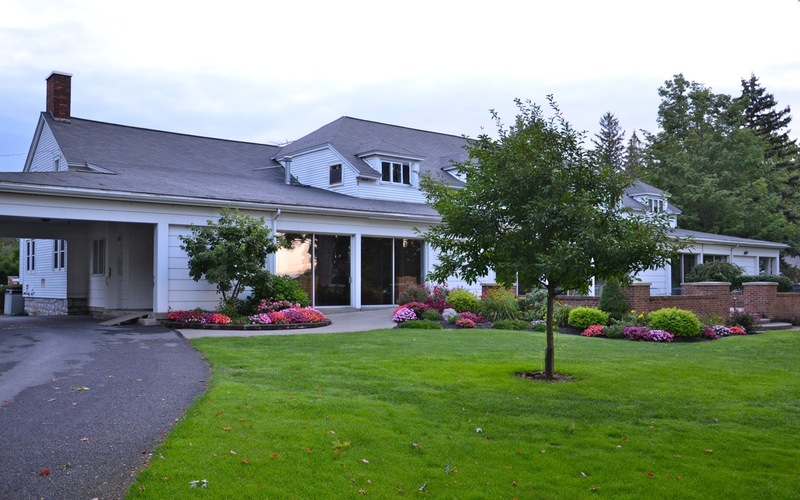 Situated directly across the street from Owasco Lake (one of the 11 Finger Lakes), this charming layout is a blend of four flat holes adjoining the clubhouse area and five hillside ones just across a quiet road – all of the wooded parkland variety. 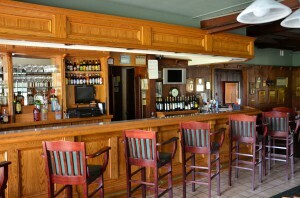 The club was established at its current location in 1901 and the present configuration was essentially designed by John Van Kleek in 1930. Interestingly, his partner Wayne Stiles was Auburn resident, but it is uncertain what if any role he played in the design. Be that as it may, the Van Kleek routing is essentially intact and this is a wonderful walk or a short cart ride. 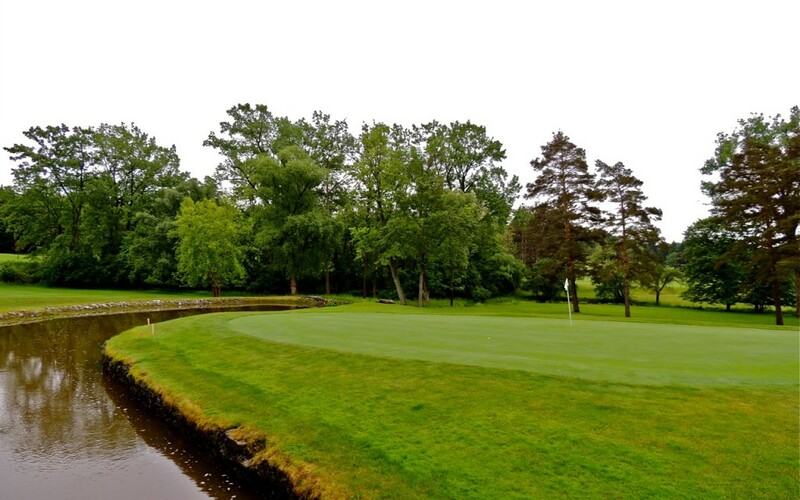 The other part of the Owasco lore is that the legendary professional golfer Walter Hagen briefly frequented the grounds before he became a star. Whether he taught there or simply enjoyed playing the course is not certain, but it is known that he did not contribute to the current design. While some nine-hole courses may feature different tee markers to affect 18 holes, Owasco has a number that vary not only their yardages, but also feature quite different angles to really induce a different flavor and strategy to several of the holes. I caught the course on a rainy day, yet the smooth putting surfaces still maintained a nice pace and I imagine with drier conditions, several of them could be downright treacherous. Not to take anything away from the flat holes closer to the clubhouse, but the five hillier ones just across the road all impressed me as pretty special. The second (also 11th) is a par-five ranging from 463 to 520 yards from the alternative back tees and there’s nothing routine about it as the green sits high above the fairway making the hole play far longer than its stated distance. Adjacent to it coming back down the hill is the 6th (15th) where a huge mature hardwood intrudes upon the rows of trees on both sides adding a vertical hazard that must be negotiated from the right side of the fairway. There is nothing easy about the either par-three as the 4th (13th) features an elevated tee and a wide stream that protects the putting surface in the front and right and the 8th (17th) has a smallish green protected on both sides by bunkers and can be stretched to 215 yards. The short par-four 7th (also 16th) requires a precise approach to the small, well-protected putting surface. There are no unusual forced carries and the fairway corridors are relatively generous, but do all entail trees on both sides. The par-three fourth hole is the one hole that does have a forced carry as the the green is protected in the front and entire right side by water. It has left and right tees that can range from 129 to 160 yards from their slightly elevated tees. As you will probably agree with me, people can also make or break a club and I was so very impressed by Owasco’s PGA Member professional Mark Flurschutz. An Auburn native with a rich background in the game, he instantly impressed me as someone who both loves his job and his membership. 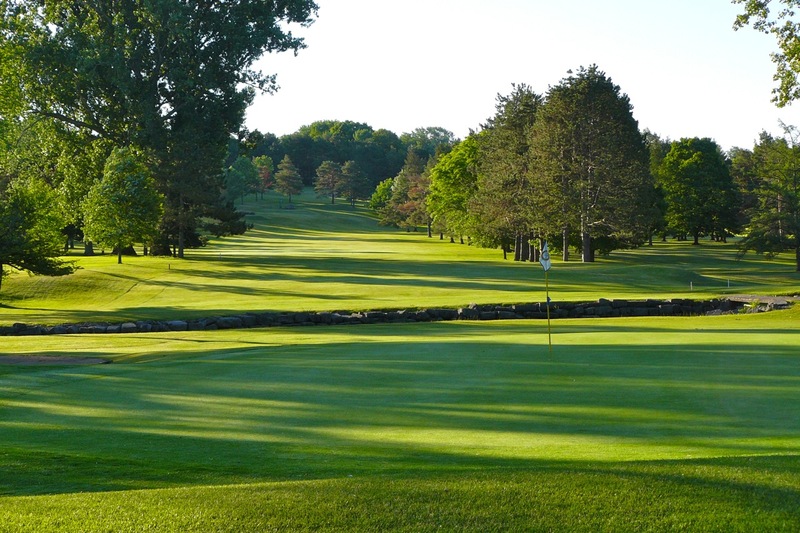 When you add in the tennis courts, bar and restaurant, short-game area, and 350-yard practice range, Owasco has everything that would make me happy. While the course has a very attractive membership offering, it thankfully also accepts public play. 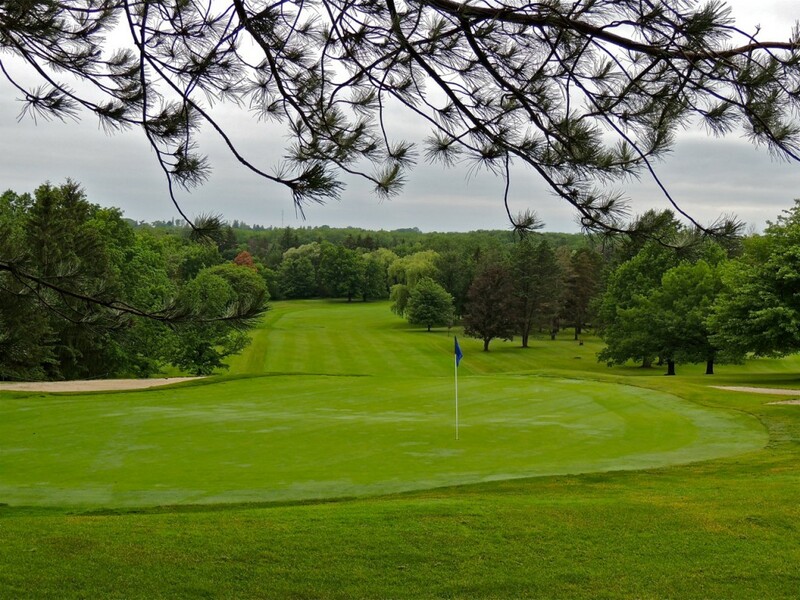 This is one little nine-hole gem you will want to play! Below is the Owasco Country Club clubhouse – a spot that I’d love to return to! Glad you liked Owasco CC. Welcome any time.